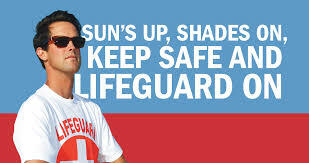 Sun’s up, shades on, keep safe and lifeguard on, San Marcos. San Marcos Aquatics is looking for seasonal lifeguards to watch over city pools and aquatic facilities for summer 2016. Benefits of lifeguarding include becoming a community leader, making a difference, saving lives and meeting new friends in a fun, poolside work environment, according to Salazar. As trained first responders, San Marcos lifeguards also can participate in the San Marcos Fire Department mentorship program and earn first-round interview opportunities for qualified EMT candidates creating unique career development opportunities. In order to qualify for a position, interested applicants must be at least 15 years old, successfully pass a skills test and interview, hold current certifications, be able to swim 500 yards in under ten minutes, and attend mandatory team training on Saturday, May 29 to Monday, May 30. To obtain the mandatory American Red Cross Universal Certification, lifeguard training will be held on Monday, March 21 to Saturday, March 26 at the Washington Park Pool, 501 N. Rose Street, Escondido and on Tuesday, March 28 to Friday, April 1 at the Woodland Park Pool, 671 Woodland Parkway, San Marcos. For applications or more details on how to become a San Marcos Lifeguard, visit www.san-marcos.net/SMlifeguards, or contact San Marcos Aquatics at aquatics@san-marcos.net or (760) 744-3530. Out & About—She sneered at me…. TWICE! Be the first to comment on "Now hiring seasonal San Marcos lifeguards"